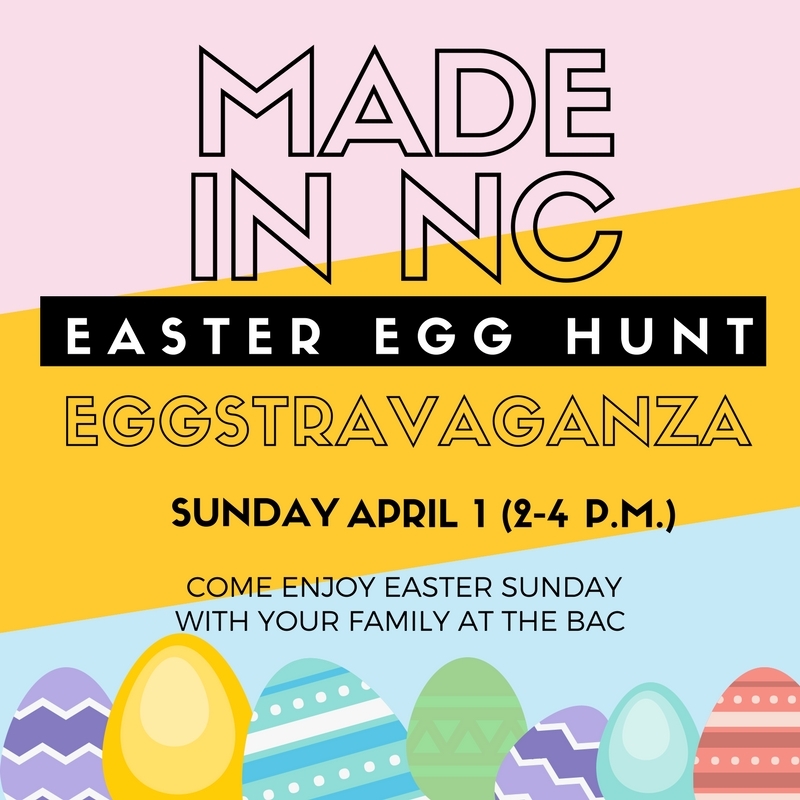 The Brooklyn Arts Center is offering its first ever Easter Eggstravagansa, happening on Sunday, April 1, from 2-4 p.m. at the Made in NC art show. Kids 12 and under are invited to participate in this event during Made in NC. Players will be taken on a scavenger hunt throughout the Brooklyn Arts Center. Once complete, players will return to the starting point for their prize! This is a first-come, first-serve event. When all of the prize bags have been given out, there won’t be more until next year! Parents: your ticket to Made in NC is $5, and is your admission for both Saturday the 31st and Sunday the 1st. Kids 12 and under are always free at the BAC. You’ll recognize some vendors from past events—The Peppermill Shop, Home Body Field Goods, Decaying Doug, An American Metalsmith, reArtcycle, and there will be some fresh new faces as well, meaning vendors making their debut at the BAC.